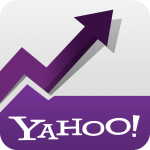 I have many Yahoo Answer accounts with diverse levels and i can post clickable links. All the answers will be relevant, complex and in accordance with the topic. I will do my best to get the most of it in order to get you as much traffic as i can. We will seek for relevant questions with your website and will post quality answers in order to attract visitors to your website. All the answers will contain a clickable link.